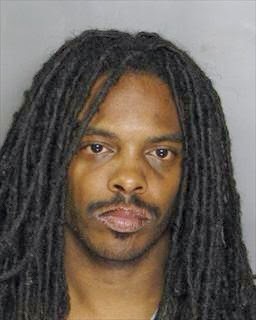 The Sacramento Police Department is seeking help from the community in locating suspect Avery Draughty, wanted for murder. On Thursday, November 28, 2013, at approximately 2:53 p.m., officers responded to the 3700 block of Balsam Street regarding a report of a shooting. Officers quickly discovered that 31-year-old Tiffany Silva had been fatally struck with gunfire. Early on in the investigation detectives identified Draughty (pictured below) as a person of interest which has now led to a warrant for his arrest. Suspect Draughty is wanted for murder in connection to the shooting death of victim Silva. Immediately after the shooting it is believed that suspect Draughty, along with his girlfriend Wanette Armstrong, fled the scene in what was described by witnesses as being either a 2-door white vehicle or possibly a gold colored Saturn. The Sacramento Police Department considers suspect Draughty to be armed and extremely dangerous. Please notify law enforcement immediately if you have information regarding his whereabouts. December 5, 2013 in Crime, Del Paso Heights.